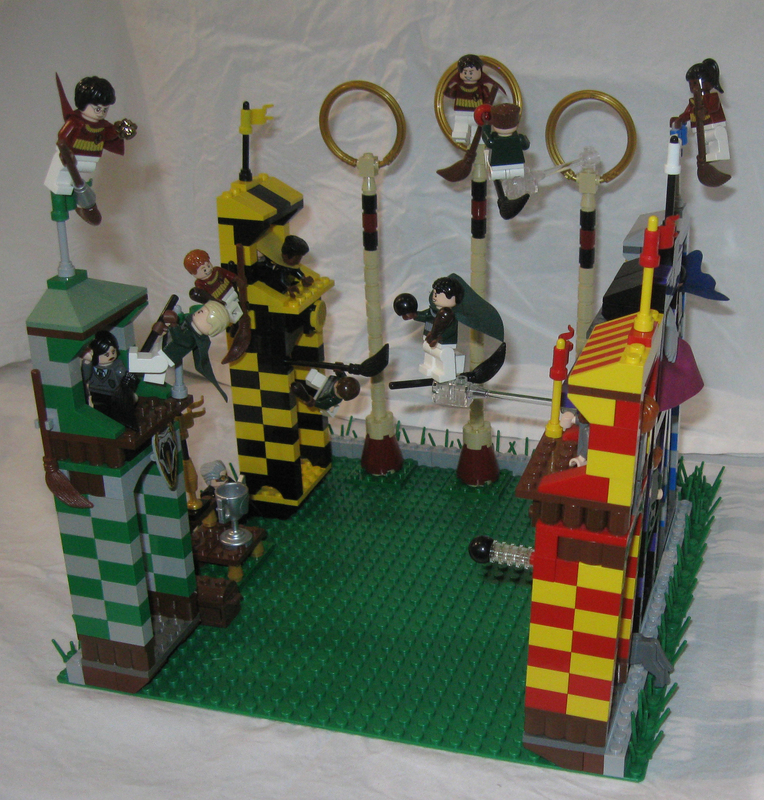 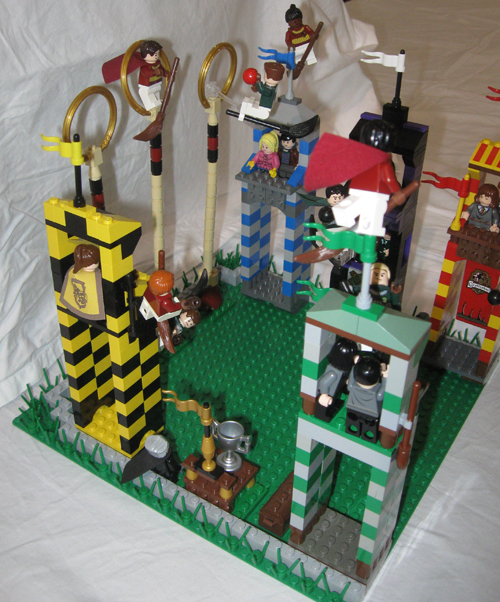 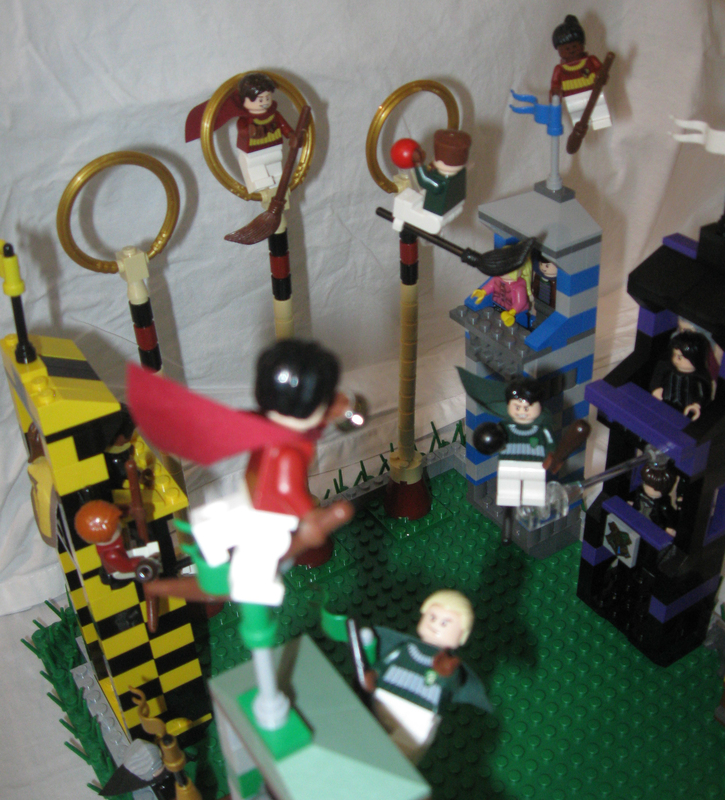 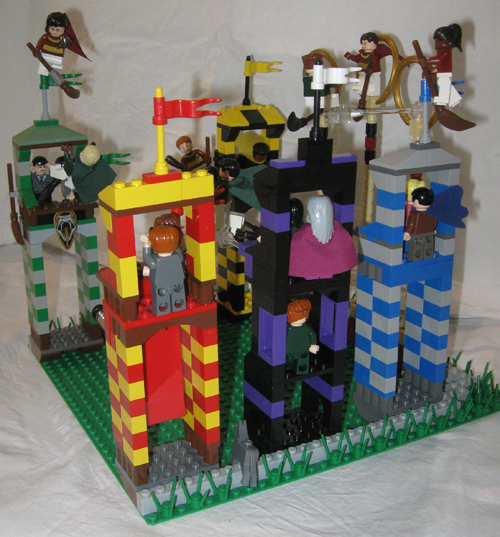 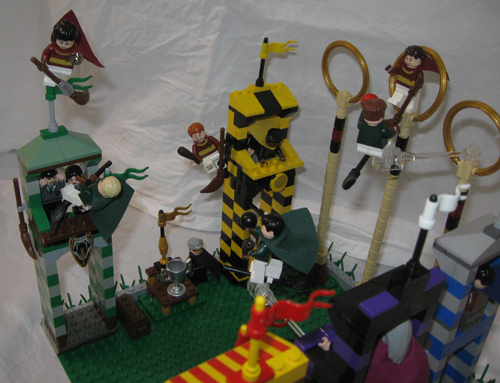 For the air/wind theme at Brickfair this year, I made a half-pitch of Quidditch at the last minute (i.e. 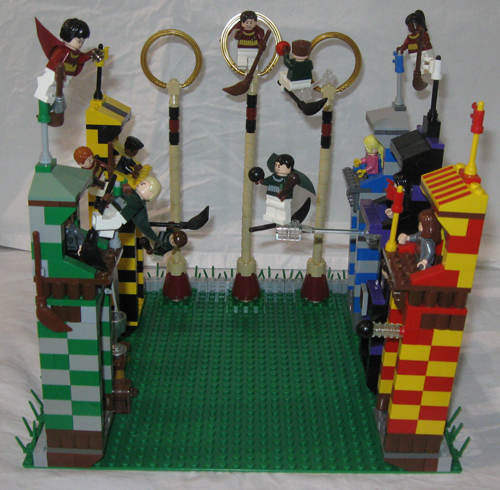 started it at 10pm the night before Brickfair!). A few features include a tower just for AWP staff (Remus and Flitwick are on the bottom level, Snape and Dumbledore are on the top level). 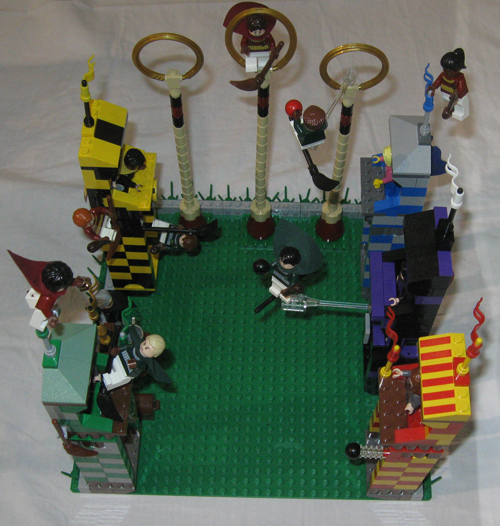 There’s a little Padfoot dog who has snuck in between two towers to see the match. 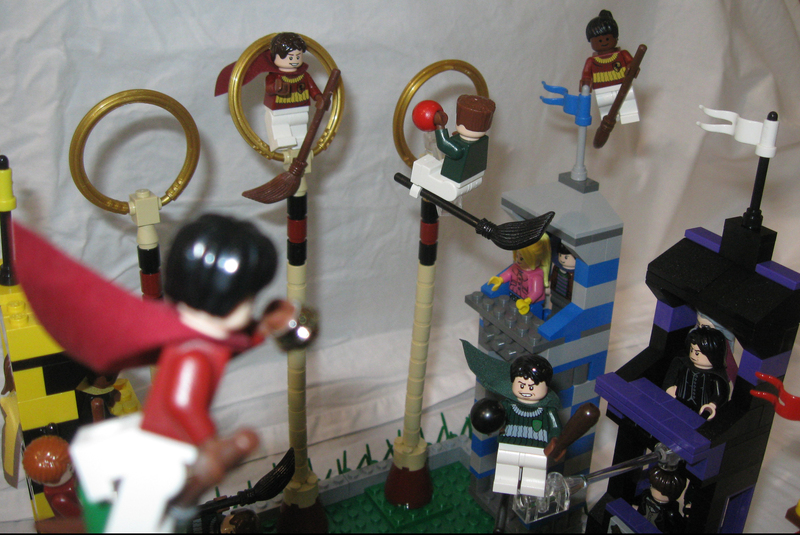 There’s a quaffle Oliver Wood is going to block. 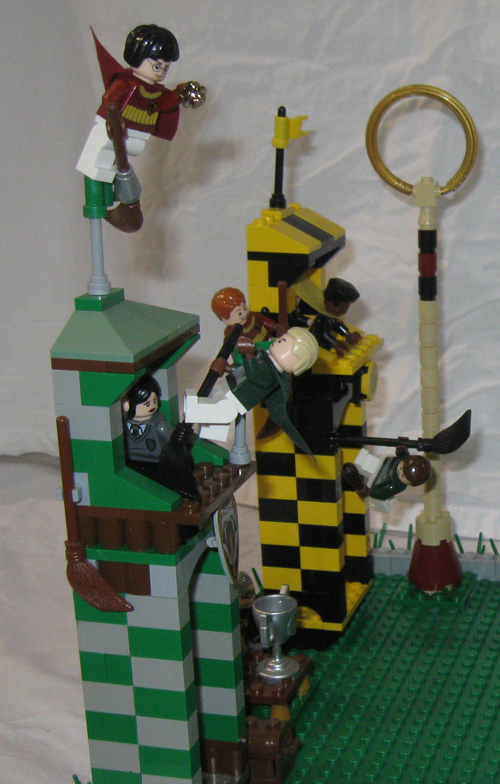 There’s Harry catching the golden snitch while Draco and Marcus Flint watch, disappointed. 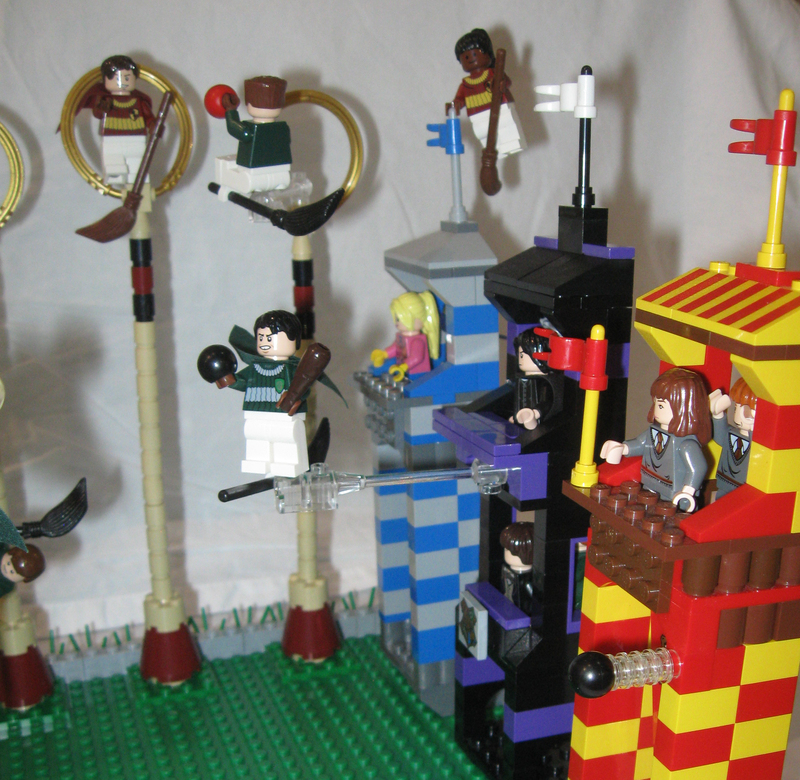 Other players featured include one of the Weasley twins and Angelina Johnson.